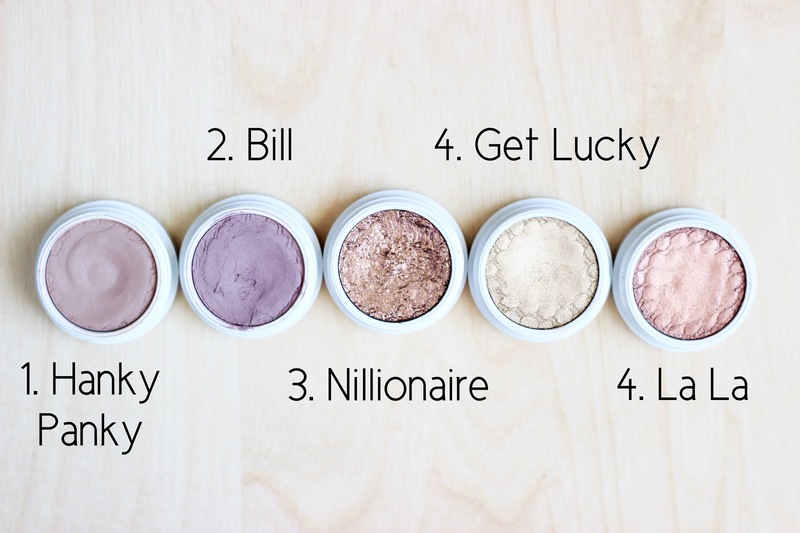 Ever since I placed my first ColourPop order over a year ago, I've been hooked on their very affordable Super Shock Shadows. If you've never tried the Super Shock Shadow formula, then you're going to be in for a real treat. These are not your standard powder eyeshadows with messy fall out, and they're also not your standard cream eyeshadow that will dry out quickly. The Super Shock Shadows have a long wearing crème powder formula which applies very pigmented and smoothly on the eyes. These shadows come in a plethora of shades and finishes, so I thought it would be a great idea to share five of my favorite shades in this post. It was very hard to narrow it down to just five shades, but I think there will be something for everyone. 1. Hanky Panky: This shade is described as a soft taupe with a matte finish. This particular shade might not jump out of the ColourPop website, but it's a shade that I reach for a lot on minimal makeup days. It's almost like a "my lids but better" shade (is that even a thing? ), so I normally just apply this all over my lids to even out the color. 2. Bill: If you're looking for a very wearable plum, this is it. Bill is a beautiful muted plum shade that can be used all over the lid or in the outer corner. Again, this shade will probably go overlooked by many but it's one of my most frequently used shades. I just love how flattering this shade is for brown eyes and it allows me to wear purple without looking too over the top. 3. 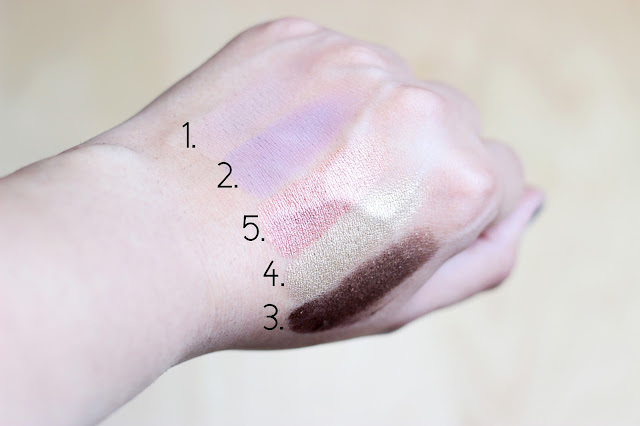 Nillionarie: First, I would like to apologize for the fact that the swatches got messed up. Trust me, the order is bugging me too. This is by far the most dramatic shade in this post and it's amazing for an effortless smokey eye. For the longest time I would mess around with pigments to try and achieve a glittery smokey eye, but you all know how that goes. I would end up with so much fall out on my cheeks and glitter is so hard to remove, but with this you don't have to worry about the mess. This deep bronze with multi-dimensional glitter is super flattering and easy to use. 4. Get Lucky: Being the Daft Punk superfan that I am, I picked this shade up because of the name and the fact that it reminded me of Guy-Manuel's gold helmet. And have I mentioned that I love gooooold? I think I've mentioned that about 100 times on my blog. lol This is an intense and metallic yellow gold that applies very evenly. If you've ever wanted a true gold without the patchiness of powder eyeshadows, then this is the gold for you. 5. La La: If you're more of a rose gold girl, then you will love La La. This shade is a peachy rose gold with a lovely metallic finish. This shade looks amazing all over the lid during the spring/summer and it can also be smudged on the lower lashline. Once again, this metallic color is super smooth and pigmented so it's the best alternative if you're looking for a good rose gold shadow. The ColourPop Super Shock Shadows retail for $5 a pop, so they're incredibly affordable and quite addicting to collect. 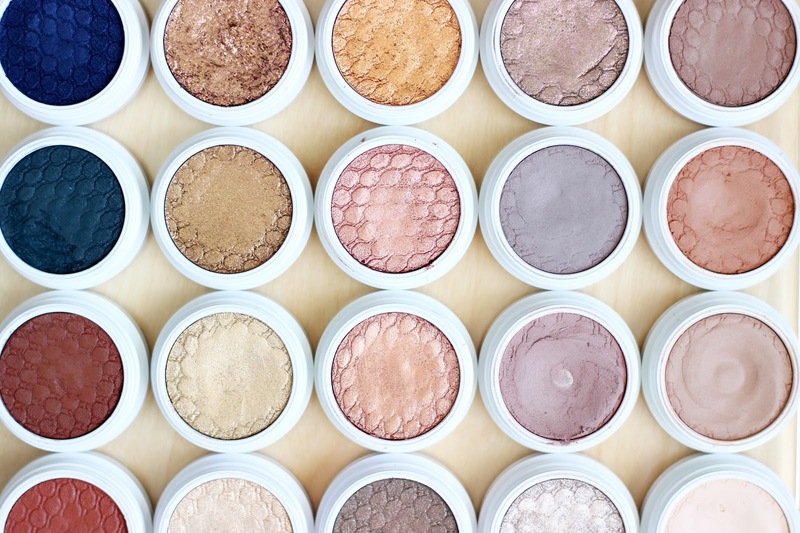 What are your favorite Super Shock Shadows? Would you like to see a part 2? Let me know in the comments below.